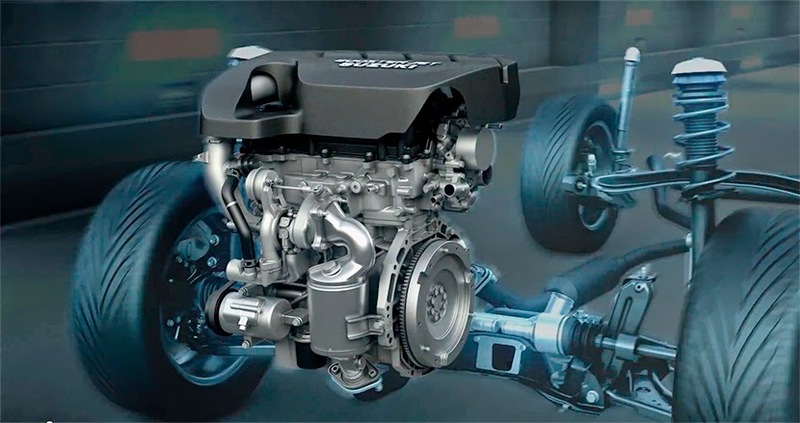 OTONEWS - After introducing the new 1,000 cc petrol engine Turbo Boosterjet mat Geneva Motor Show in early March 2015, Suzuki Motors Corporation is now introducing a larger machine that is 1,400 cc. Introductions made in the event the Shanghai Auto Show in 2015. Suzuki claimed the 1400 cc engine Boosterjet Turbo and direct berinjeksi it produces a great power, but fuel efficient. The manufacturer also mentioned, the machine was designed with technology that is able to cut the weight of the machine and compact shape. Reportedly the new machines will be installed in the new model will be produced and marketed in China. After that, the Japanese manufacturer will launch the bearers of the machine to the global market. Meanwhile, the manufacturer said, the resulting increase in fuel efficiency due to the merger between the weight of the engine and a lightweight car, with the latest direct injection technology. While bursts of energy and a more powerful torque for the engine in its class, because it uses a new turbocharger technology. Two technologies that are representing the characters boosterjet. The automotive exhibition Shanghai, China, the Suzuki presents the concept of IM-4. The production version of the car, will be marketed in China, to expand the model variants in the country. No Comment "Suzuki Introducing New Engine 1400 cc Boosterjet"